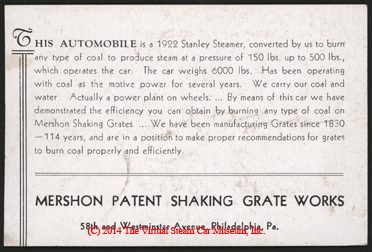 Many inventors sought ways to fire Stanley Steam Cars with cheap fuels, particularly during World War II. 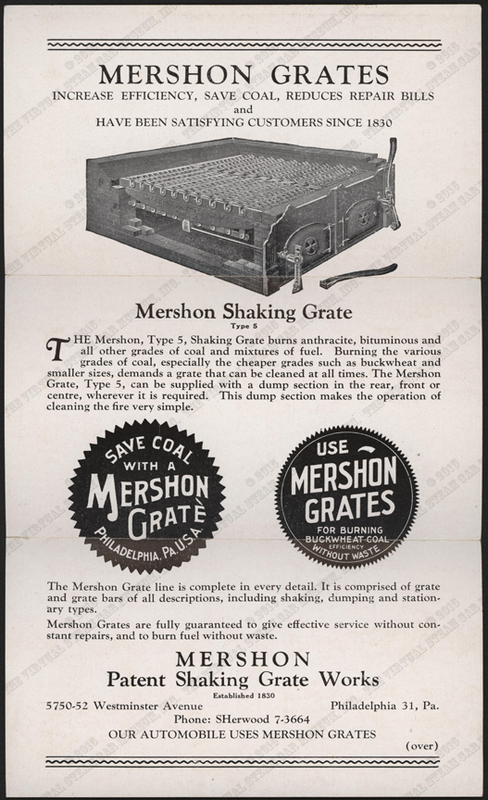 The Mershon Patent Shaking Grate used coal. 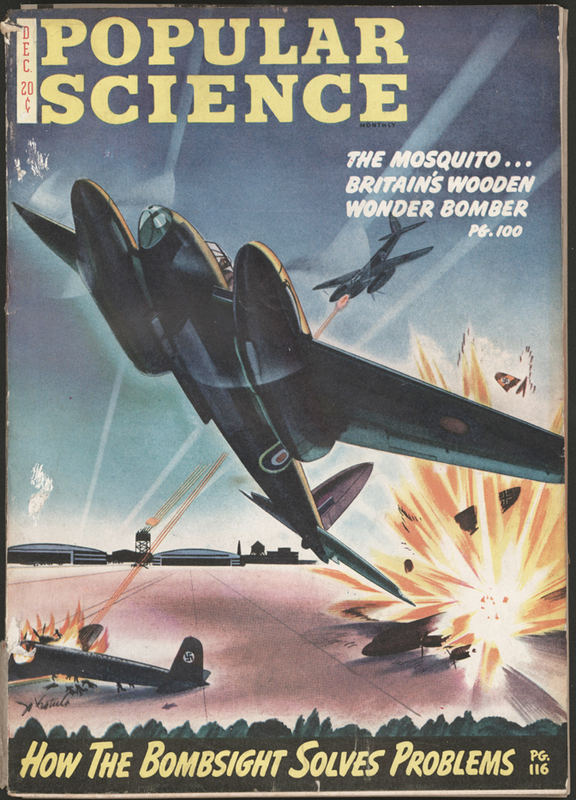 Kelly Williams mentioned this December 1943 article in Popular Mechanics on his Stanley Register web site. 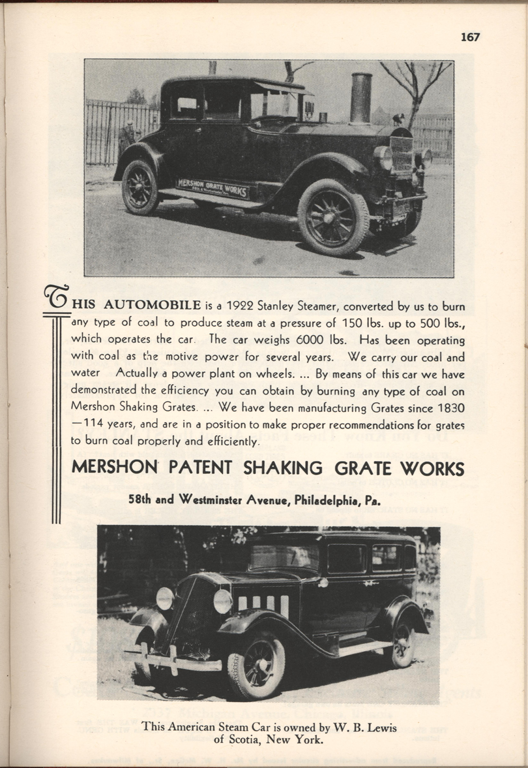 The drawing shows a much different car than a 1922 Stanley. 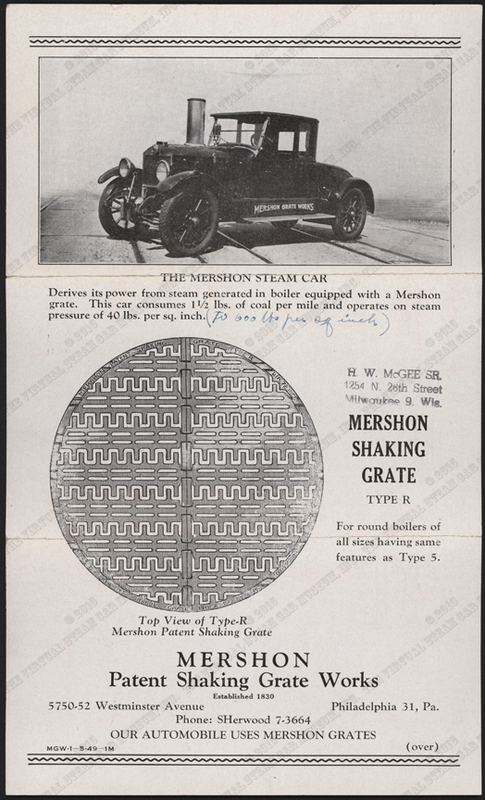 G. W. Nichols had this brochure from the Mershon Patent Shaking Grate Works. The printing date on the lower left corner suggests May 1949. Nichols Collection. 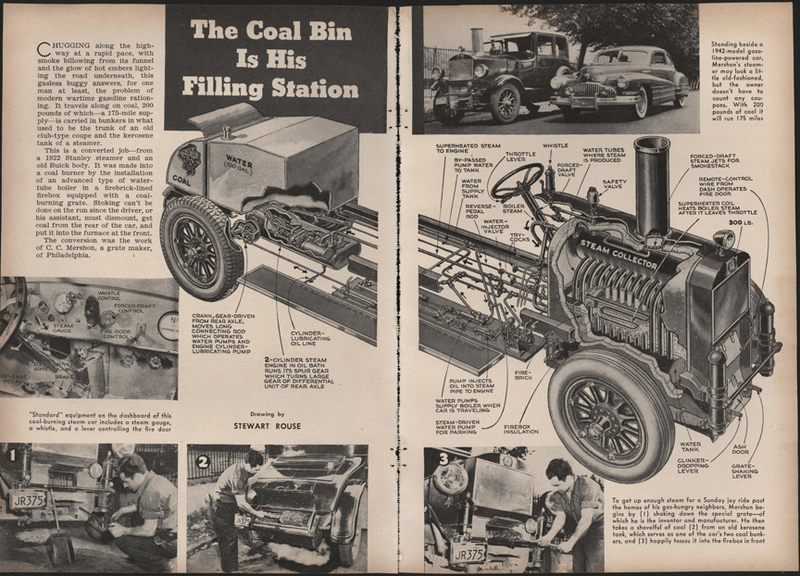 Floyd Clymer created this page in his steam car scrapbook. 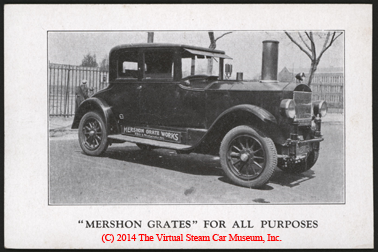 It lists as W. B. Lewis of Scotia, New York as the owner of the car with Mershon's Patent Shaking Grate to burn coal. Contact us if you have additional information about the American Burner Company, or if you have questions.